Nizhny Novgorod is a historical and cultural city. Yet, there are also fabulous clubs, bars and other facilities for enjoying the nightlife of the city. Once you are here with your close friends, enjoy your rest in Pivoteka Hophead and its excellent choice of craft beer, have crazy dances in Premio Centre or enjoy a concert in MILO Concert Hall! 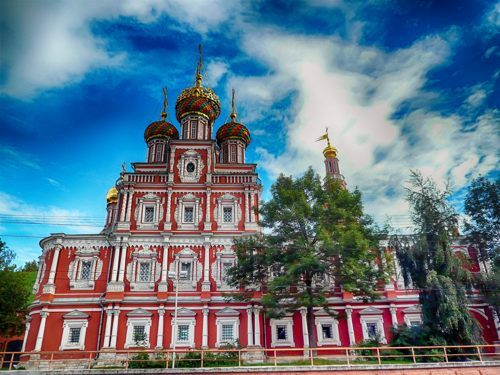 If you are planning to travel in Nizhny Novgorod with a group of your closest friends be sure you will be fascinated with this city. You will find fabulous destinations to have an amazing pastime in this city. But, before you head to the nearby museum or a stylish nightclub, you need to consider your means of transportation. There is no point in relying on public transportation as Nizhny Novgorod is a crowded city with buses always filled with passengers, while taxis charge far not affordable prices! You may think about booking a chauffeured minibus for your entire group of friends. 8Rental car and driver supplier in Nizhny Novgorod offers a great solution for such cases. 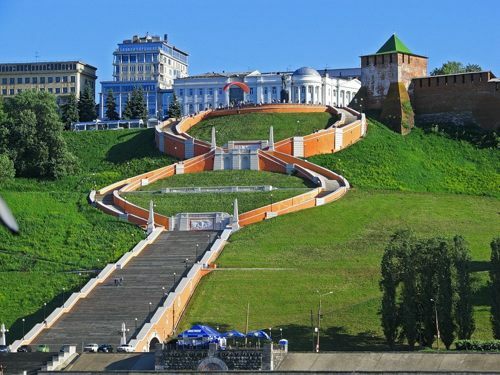 Send us a quote and rent a chauffeur-driven minivan in Nizhny Novgorod, and enjoy every minute spent in the city! 8Rental does never charge its customers for the fuel, as it is all included in the offer. The price you are charged at the end of your journey is determined by the hours the minivan and driver are at your disposal. However, this doesn't mean you can't hire a chauffeured driven minibus in Nizhny Novgorod in only one direction. Everything in 8Rental is tailored to meet customers' requirements! 8Rental is focused on every service, which will become your true friend while you are here in Nizhny Novgorod. It offers a series of advantages you are sure to take for granted. So, let's have a closer look at what this minibus rental with driver in Nizhny Novgorod can offer you and your friends. Once you get a quote and fill it out, you will be required to mention the pickup and drop-off address. You can also have the vehicle and the driver you have booked, right at the airport or railway station. All the vehicles you rent at 8Rental are in perfect condition. 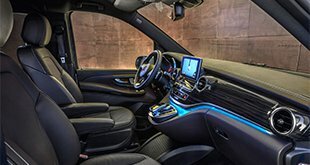 They are equipped with everything you may need for having comfortable transportation in Nizhny Novgorod or in any other European cities. If there are only around eight of you, 8Rental can suggest hiring a Mercedes Viano. This is a capacious comfy vehicle with air conditioning system, air suspension, tinted windows, curtains, reading lights and other amenities. If you need a larger vehicle to accommodate up to two dozens of your friends, you will love Mercedes Sprinter or any other similar model. This vehicle is designed to travel long distances in absolute comfort. However, if you can't find the minivan model on the website of 8Rental, no need to get upset. Just call the service and the cs operator will help you choose an optional vehicle. Rent a minivan with a driver in Nizhny Novgorod and don't bother about driving your friends in the city. You can travel wherever you want in Nizhny Novgorod, have meals at the best restaurants and visit pubs or clubs in the evening. You may drink, dance and have fun being sure a reliable driver is waiting outside the building to take you directly to your place of staying. 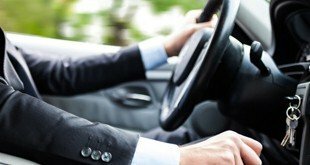 Our drivers are licensed, have impressive practice in the fields of transportation and are utmost responsible. They are real professionals who won't let you down as long as you need to be transported in Nizhny Novgorod! Additionally, we have English, French, and Dutch-speaking chauffeurs. Depending you may rent a respective chauffeur.on your mother tongue or the language, you speak.